Maryam Maquillage: Guess My Eye Palette! P. S. It's very gloomy in New York -- this eye makeup is sure to cheer up my mood! Happy Ramadan to all my Muslims across the world!! you're welcome Sadee :)) I am working on starting youtube videos, all I need is better lighting and video editing skills!! it's in the works though!! this is really simple and a super cute look! did you the new lime crime palette auqa-something? Mind blowing eye make up. You are the prettiest lady on earth ! Have an action packed week end. 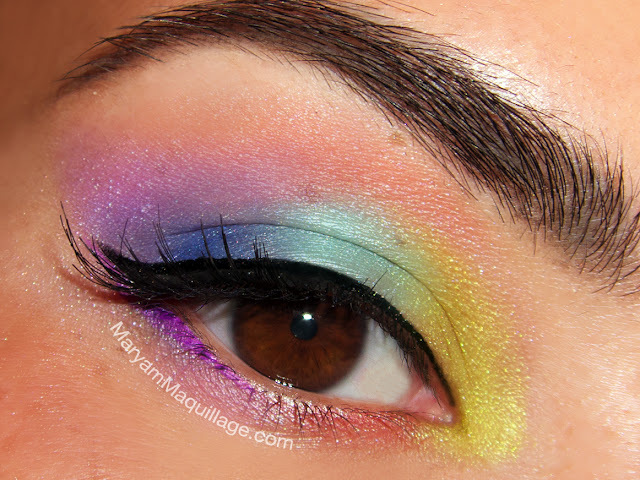 Love these colors, they look amazing on your beautiful eyes ! another beautiful look perfect for summer! This is so fun and pretty! I wish I could wear yellow and it look good! Your eye make up is bright and cheerful. I've learned so much about make up application from your blog! Have a great weekend. Super cute!! I wish I could blend this well! This is so cute and colorful! Love!! WONDERFUL! I love it, it's so cool!! 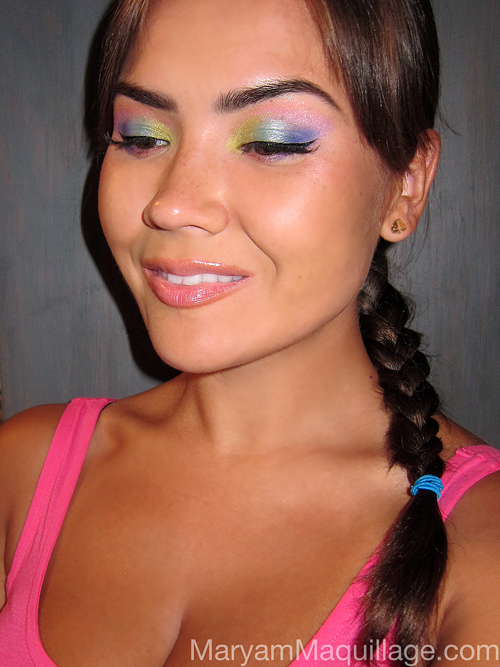 Really beautiful makeup so colorful and vibrant! Oh la la gorgeous eye makeup!! Wow magnifique!! j'adore ♥ I think it's one of your best eye makeup! Ramadhan Kareem to you too, Maryam! I'm your follower n.1747 , I hope you follow me back.